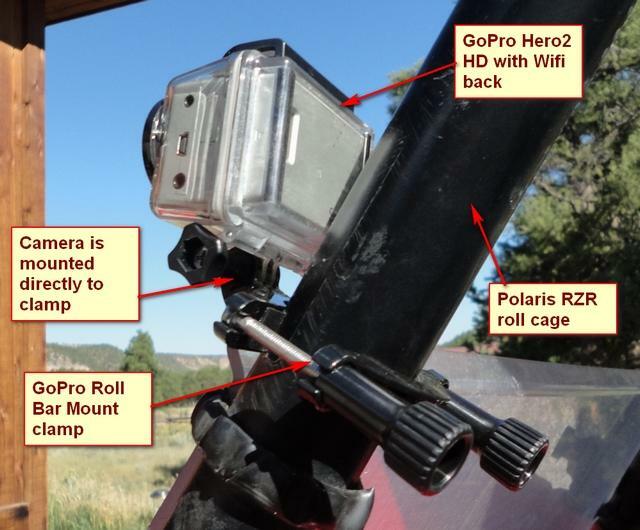 I’ve taken lots of video with my motorcycle helmet camera, and now that I’m transitioning to my new (to me) Polaris RZR, I needed a way to mount the camera to the roll cage. GoPro sells a Roll Bar Mount, which comes with the actual clamp plus two extensions that allow the camera to be positioned at any angle. I tried three ways of mounting it, as shown in this short video. Below the video are some photographs of the different solutions I tried. 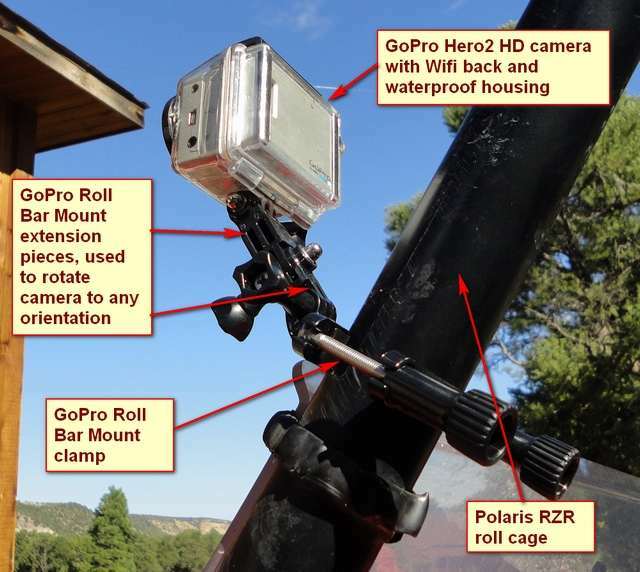 Here’s the basic GoPro Roll Bar Mount. It consists of the clamp plus two extensions that allow the camera to be positioned at any angle. The problem is that the camera vibrates too much on this mount. Here’s the camera mounted directly to the clamp. It’s better, but there’s vibration when the engine is idling, plus the camera isn’t square with the horizon. 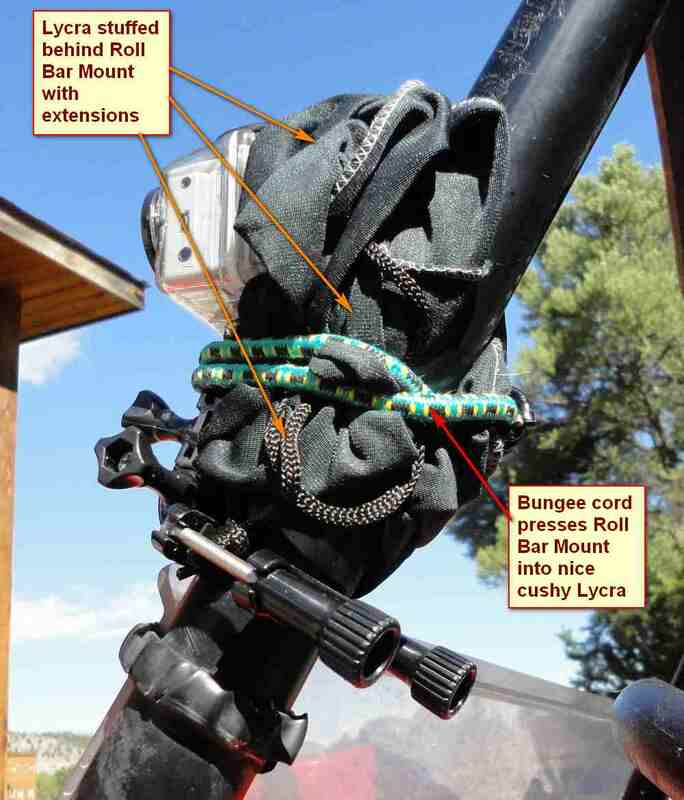 Side view of the solution: a pair of Lycra bicycling pants is stuffed behind the camera and the entire thing held in place with a bungee cord. This allows leveling the camera with the horizon, and damps even the idling vibrations. Front view of the camera mounted with the Lycra shock absorber material. 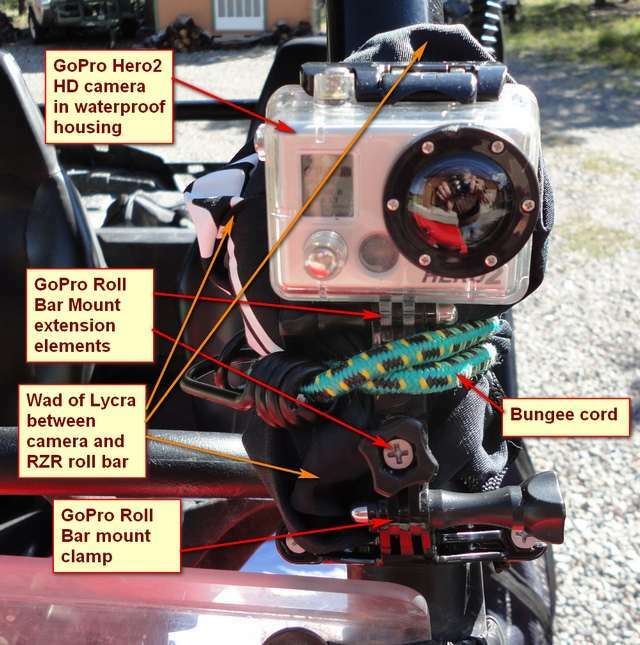 This entry was posted in All-Terrain Vehicles (ATV) and Side-by-Side and tagged GoPro HD Hero2. Bookmark the permalink.